TRAVEL INSURANCE – I normally always use a comparison site for my travel insurance but Debenhams have some great deals on at the moment with single trip policies from just £4.99 plus free gift cards on various policies including travel, life and wedding insurance. Terms and conditions apply but you can find out more here. For example, I can get an annual family of three multi-trip policy for just £34 and get a free £10 gift card, so it is worth getting a quote and kids go free! FAMILY AND FRIENDS RAIL CARD – If your looking to save money on rail fares over the next 12 months, the Family and Friends rail card has £10 off until 24th February making it just £20. You have to have at least one child with you when you travel but you can save a 1/3rd on fares. Get further details here. 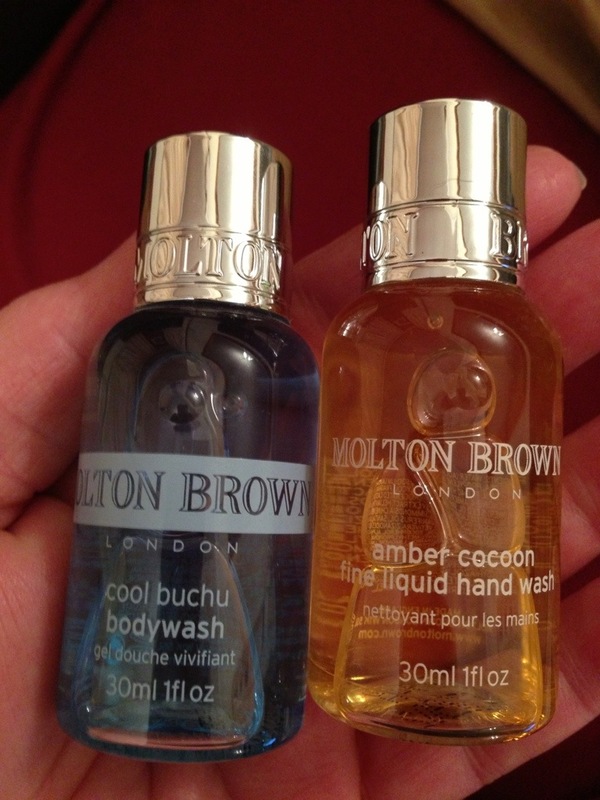 FREE STUFF – I’ve been pretty lucky this week, first up a friend gave me two little Molton Brown samples that she got from the Department store she works in. They went straight into the holiday drawer as they are the perfect size for travelling abroad with hand luggage only (which means restrictions of sizes and amounts of liquids you can take) or weekend and overnight stays. 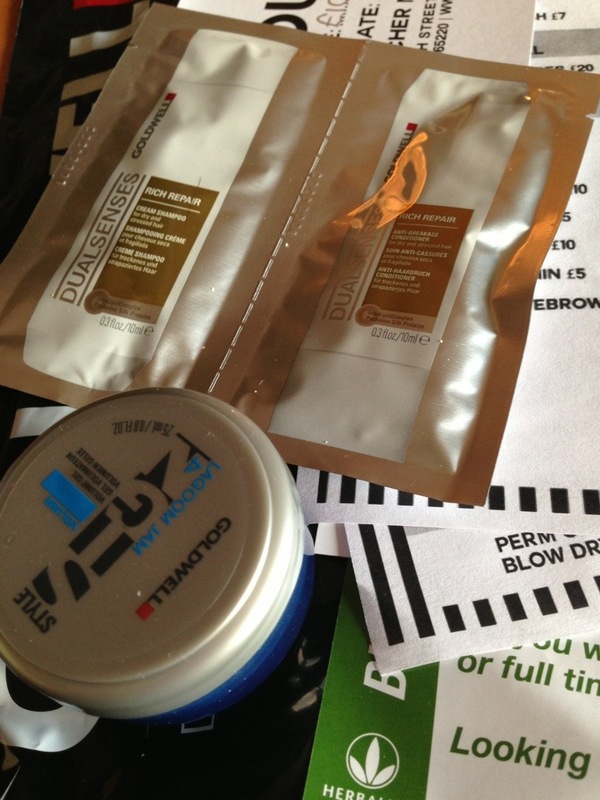 My second freebie was a £10 beauty gift voucher which came in the goodie bag I got from a new hair salon launch party. I just need to decide whether to put it towards a pedicure or a facial, decisions, decisions! I also got some Goldwell shampoo and conditioner samples and a small pot of hair gel, not that anyone uses it in this house, so along with a couple of glasses of bubbly and a cupcake, it was worth going! What are your best deals of the week? This entry was tagged Deals, Free Stuff, Insurance, luxe for less, Money, Socialising, Travel. Bookmark the permalink.